PUJ LOAN WITHOUT TAKING YOUR JEEPNEY – GET UP to 150K LOAN APPLY NOW! 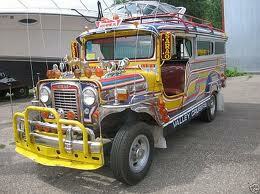 A public utility jeep loan is probably one of the most neglected types of collateral loan in the Philippines. Very few know that there is actually a lot of reasons and advantages why as a top loan consultant, I would like to urge cash loan borrowers to opt in and apply for this cash credit. I will name a few below while you see for yourself obvious numerical values related to lowest interest rates, processing fee and less requirements. This doesn’t even require a co maker or co borrower especially for those owners who have a source of income other than the boundary of their drivers. Please note that loanable amount is influenced by other factors like source of income, current condition of the jeepney, year model of the engine and engine type. To apply or make an inquiry, please contact us or see details below. Please also visit our loan forum for more details and tips in applying for cash credit in the Philippines.